Finally, after years of clumsy, clunky automated tools for “spinning,” scraping, regurgitating, and extruding low-quality content, we’ve found a solution. This resource produces sharp, smart, audience-engaging content every time. Over time, it even calibrates itself to produce more effective headlines, to tailor content to the precise needs of your audience and customers, and to automatically generate semantically relevant alternative keyword phrases. 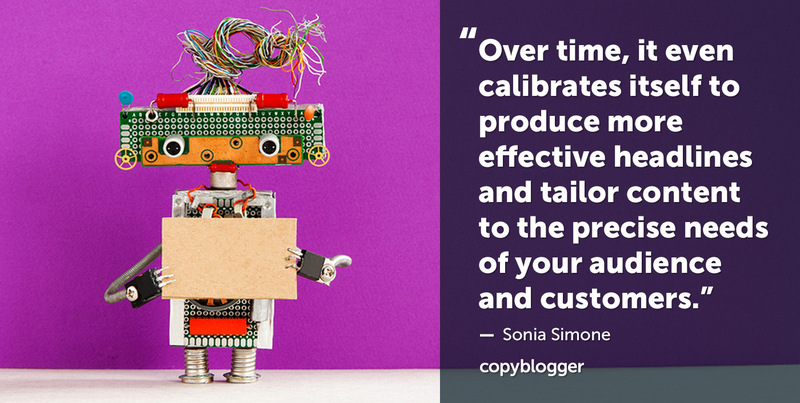 We’re calling this resource RealWriter — and if you don’t implement it in your content marketing strategy, you’re missing out. RealWriter offers some incredible improvements over earlier content automation solutions. RealWriter uses advanced algorithms including RealEmpathy, RealResearch, and RealListening to craft content that actually makes your audience more engaged and helps them develop positive emotional associations with your company. RealWriter’s sophisticated technology allows for deployment of stories, metaphors, analogies, and extreme right-brain, no-seriously-where-the-heck-did-that-come-from insights. And all of this is included with the cost of your RealWriter install. Google’s spam team has made it clear — if you’re using anything other than RealWriter to craft your content, you’re doing it wrong. RealWriter (and especially RealWriter Professional Edition) will dramatically improve your site’s SEO. It’s so important that RealWriter is recommended by every reputable SEO firm as a resource that you cannot afford to do without. Clumsy, ugly, badly optimized gibberish is a thing of the past with RealWriter. In fact, RealWriter will probably be compelled to go back and correct your old, horrible content to meet RealWriter standards — because some of that stuff makes RealWriter really, really twitchy. Bonus: RealWriter can handle your social accounts, too! Yes, incredibly enough, for an additional fee, RealWriter can be deployed to manage your company’s presence on Facebook, Twitter, LinkedIn, or the platform of your choice. RealWriter even proactively learns new platforms as they become important to your audience. RealWriter can ensure that your social media accounts reflect well on you, especially when they’re fully optimized with RealBusinessJudgment (premium fees may apply). RealWriter’s social media functionality seamlessly integrates with your content-creation program — and it’s all built into the algorithm. RealWriter can be deployed to cover literally any field of human endeavor. RealWriter will also let you know when you’ve used the word literally properly. RealWriter is available in all human languages (plus Klingon), for all topics, and in a virtually endless variety of tones and voices. RealWriter is optionally available with Humor, Quirkiness, and Snark options. Note that these features occasionally make RealWriter somewhat unstable in a business context. However, the benefits are often worth the potential bugs. In fact, every week we publish content to help RealWriter work even better. We have a program to support and promote really good content writers. It’s the Certified Content Marketer training program, and we created it to teach writers like you — the ones with strong voices and solid techniques — how to use their words to sell, both for themselves and their clients. You’ll go through our four-week content marketing strategy course, taught by me and Brian Clark, and then have the chance to submit your own work for Certification. There are plenty of programs out there that will give you a badge for completing a few multiple-choice quizzes. This isn’t one. *All statistics have been made up. This installation of RealWriter is sometimes not so hot with real numbers. Your RealWriter may vary. It slices, it dices, it even cuts Julienne fries! Thanks for brightening up a dark, snowy April day in Portland, Maine.